← Welcoming Spring With A Dahlia Tutorial!! I have had this wreath on my todo list for months now and finally yesterday I decided that I was going to wait no more! Let me tell you if I had known how simple and easy this was to put together I wouldn’t have put this off for so long!! 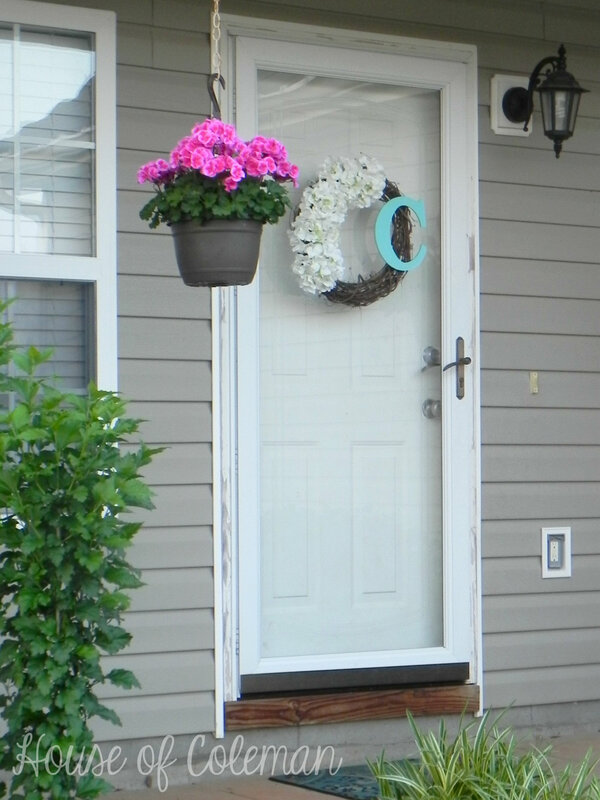 For so little effort it adds so much to my front door/porch area! Want to make one of your own?? Well here’s how! 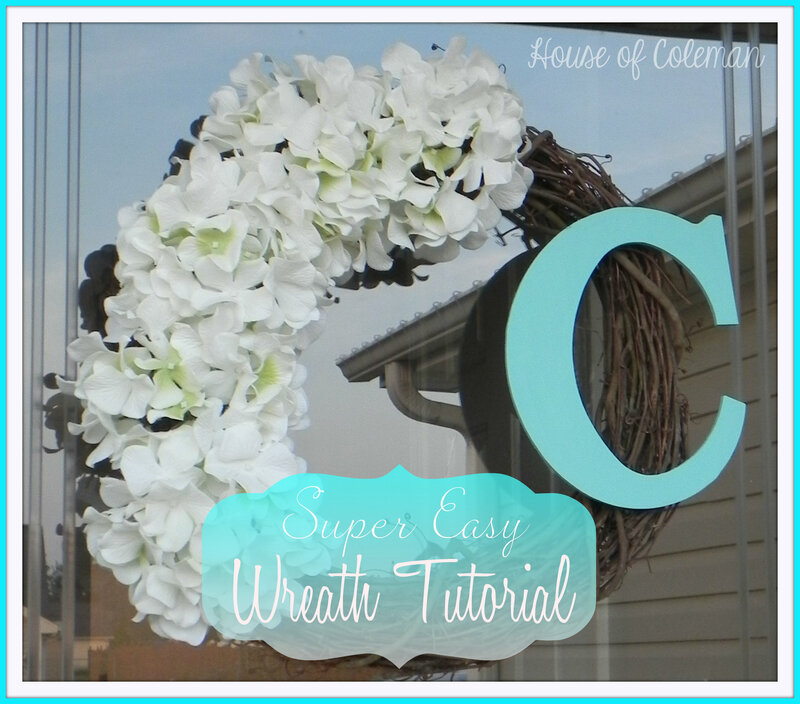 Now let’s get started making this Super Easy Wreath! First you want to disassemble your flowers from the stems. The type of flowers I purchased separated from each other when I took them off so I had to hot glue them back together. 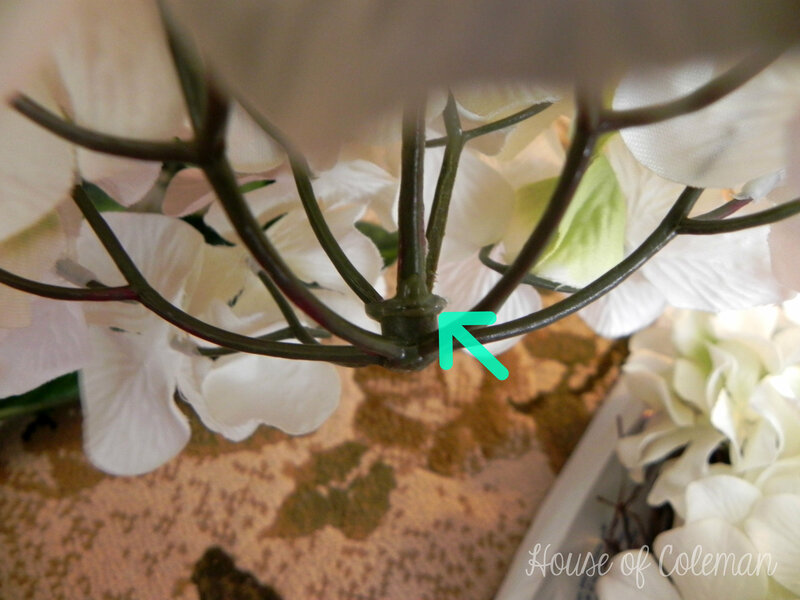 (Shown in the picture above) But if your flowers come off the stem in one piece you can skip this step! 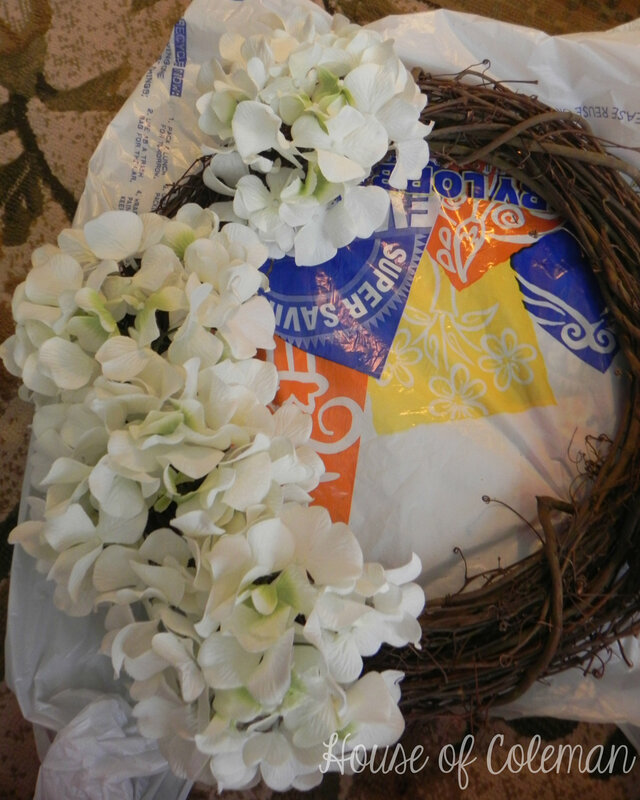 You will want to lay your flowers out on the wreath before you hot glue anything to figure out the look you want. Once in place take off one flower at a time and hot glue it into place. Don’t mind the Hobby Lobby bag, I needed a place mat for this wreath because it was shedding it’s twigs all over the place! At the moment I don’t have a kitchen table (a whole other blog post to be lol) to do my projects on so the living room floor it was! Plus the kiddos were in there and they like to watch my projects so it worked out for all of us! 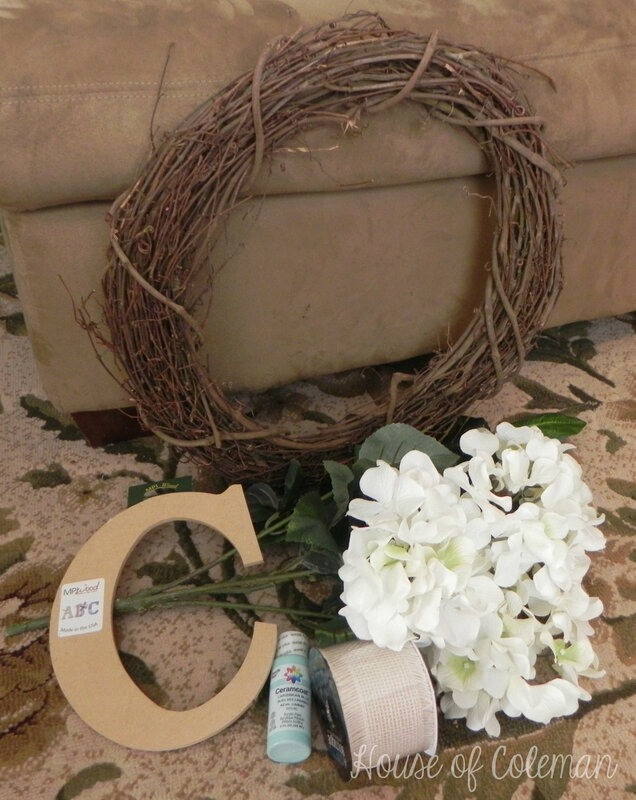 Now sit your wreath to the side for a second and grab your wood letter and your choice of paint. I chose an aqua blue, I’m currently obsessed with this color! Love it! 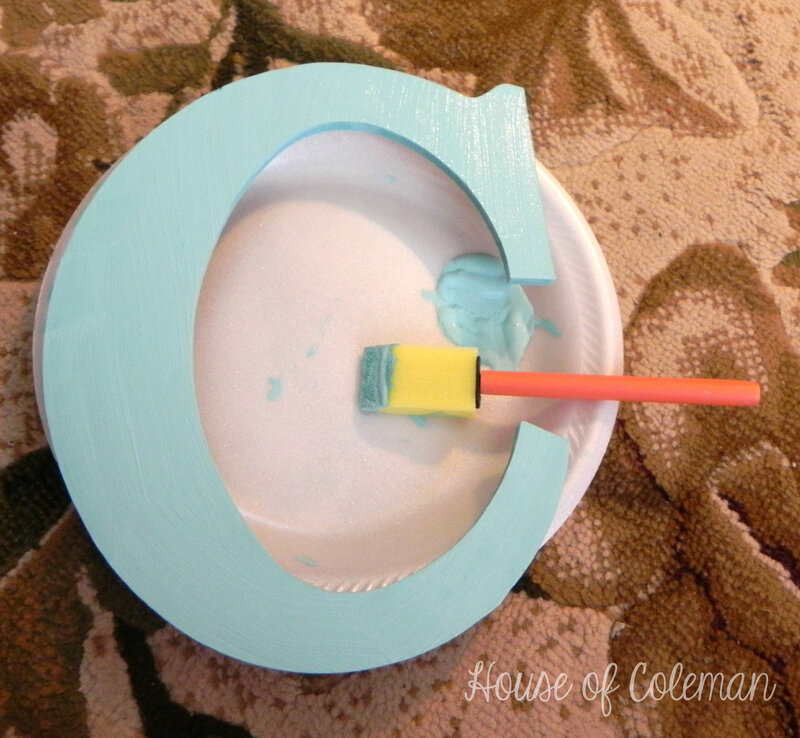 Make sure you cover your letter evenly and paint the sides of the letter. You don’t have to paint the back of the letter, no one will see it. 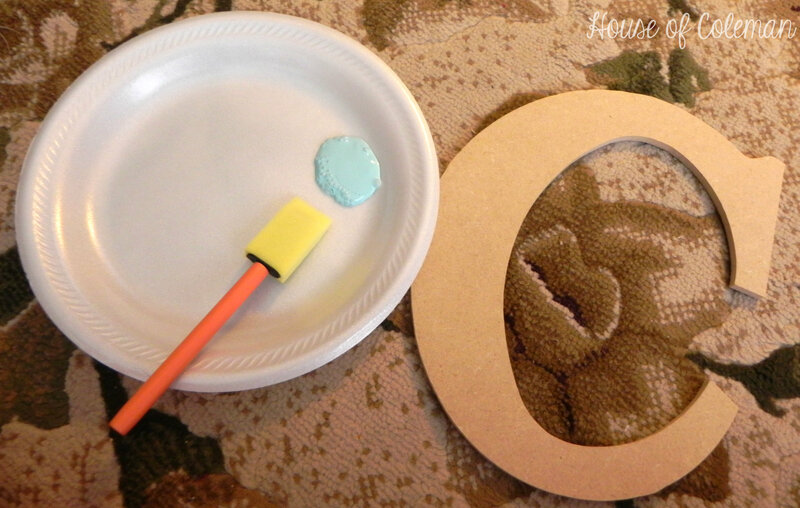 The paint dried fairly quickly for me and I was ready for the next step! Gluing it onto the wreath! This is tricky..kinda. 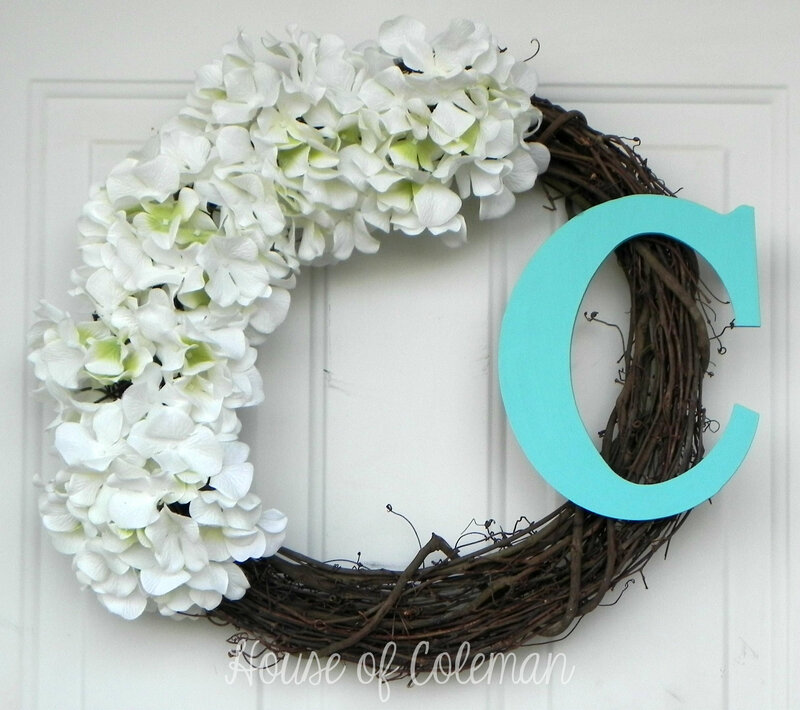 This wreath is not even so you have to find the few vines that will be touching the back of your letter before you go placing hot glue on it. I found that putting the hot glue on the vines, that will be touching the letter, first then placing the letter on top was the easiest! Let this dry completely! And Whala! 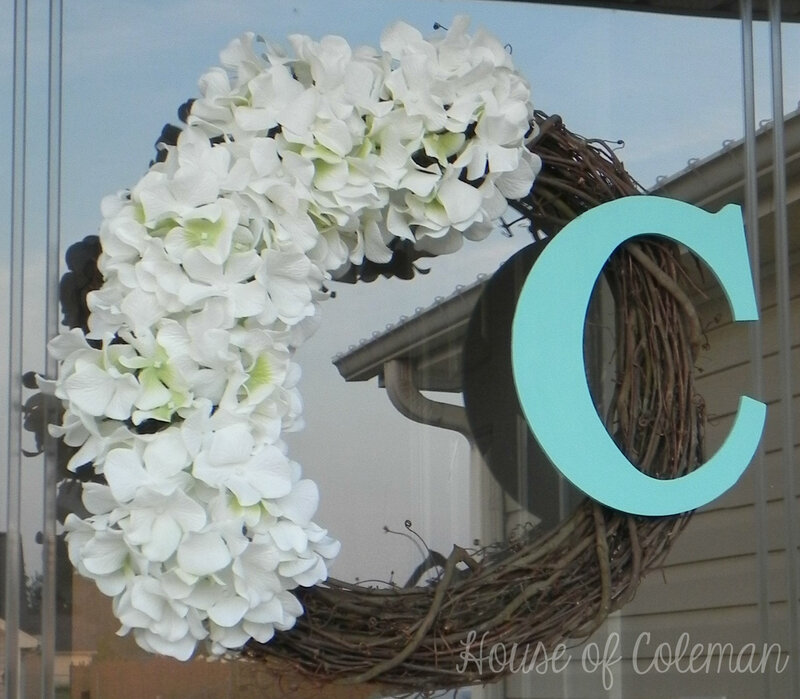 A beautiful wreath for your front door! I love how it turned out and I’m so excited for you to get started on yours! 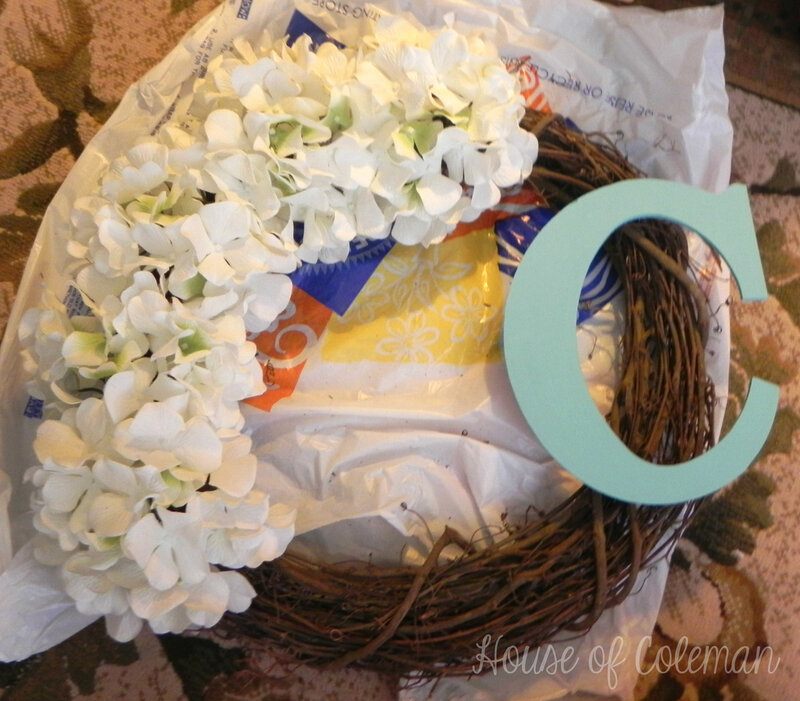 This wreath was so simple and took less than 30 min to assemble and hang! Now what are you waiting for? Go grab your supplies and get started on yours!